Ski South America this Summer with Expediciones Chile ! Skiing does not have to end with the conclusion of Winter in North America and Europe . Follow the snow South to the Southern Hemisphere with our skiing in Argentina , skiing in Chile programs. This year Expediciones Chile has teamed up with PowderQuest Tours to bring you an unsurpassed combination of ski Chile , ski Argentina and ski Patagonia packages. You can choose to ski all the classic South America ski resorts or venture backcountry in Patagonia , Argentina and/or Chile 's famous Lakes District. For the most rugged adventurers we offer an unforgettable Patagonia Hut to Hut ski tour in Argentina 's Parque Nacional Nahuel Huapi. However you want to ski Chile , Argentina or Patagonia, Expediciones Chile has a South American skiing tour for you! Whether you are looking to ski Chile 's steep chutes and bowls, lounge by Hotel Portillo's lakeside pool after a great day of skiing the Andes, ski the famous ski resort of Las Lenas, Argentina , party in Bariloche, or ski touring deep into the Patagonia Andes backcountry, I assure you it will be an adventure snowboard-ski vacation you will never forget. Resort Focus Tours are a great alternative to a traditional "ski week package" typically offered throughout South America. In fact we believe there is no better way to ski Chile and Argentina than a multi-resort tour. The Andes of Chile and Argentina offer so much more than just skiing, and with us you will ski multiple ski resorts from Portillo, Valle Nevado, and Las Lenas, to Alta Patagonia, Bariloche and Termas de Chillan to name just a few. In addition, you will experience South America's dynamic cultures while we never lose focus of the comforts and services you desire. We offer you the perfect combo of the best resort skiing in the Andes and optional off-piste excursions. In addition we give you a choice of moderate, superior, or deluxe lodging options, unforgetable regional meals, knowledgeable guides, comfortable private transportation, safety, and excellent personalized service. Our expert Chile and Argentina ski guides show you the best skiing in South America, avoiding the crowds, and taking you to the best snow according to wind direction, slope aspect, recent snow fall and local ski knowledge. 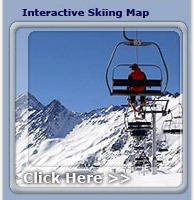 We will show you our favorite ski lines, secret spots and powder caches. If you want to score the goods like the locals, get the most out of your South america skiing vacation, and avoid studying a ski trail map that ends up landing you in an hour-long ski lift line on a bunny slope, these skiing vacations are for you. We offer you choices of Moderate to Deluxe ski lodging options, and have personally selected these hotels with special attention paid to location, comfort, and service without losing the local charm of the Andes and its amazing culture. Some of the hotels you have to choose from are: Hotel Portillo, Hotel Valle Nevado, Gran Hotel Termas de Chillan, Piscis, Las Lenas, Design Suites, Dazzler, and more. Ski Chile is now an 11 day Resort Focus guided ski tour combining the world-class resorts of Valle Nevado and Portillo. After amazing skiing in Valle Nevado and great evening in Chile's capital, Santiago, it is a full week at one of the World's top rated ski resorts; Portillo! On the Ski Chile Tour you will experience deep snow, friendly guides, excellent food, delicious Chilean wine, over 50 years of Chile's skiing tradition, and comfortable lodging. On the mountain you can step up the adventure with optional off-piste guided ski excursions, heliskiing, and more. Ski Chile!. Skiing Patagonia and traveling deep in the Andes of Patagonia, Argentina is like no other experience. Aside from great skiing Patagonia offers terrific exposure to the local culture and lifestyle of these unique mountain communities. The Ski Patagonia tour quickly takes you from your daily grind into a literal dream world of fun resort and off-piste skiing, and the charming ski towns of Bariloche, San Martin, and Villa La Angostura, based on beautiful, glacier cut lakes, surrounded by thousands of acres of national parks and mystical snow peaks only seen in Patagonia. If you are an advanced or expert skier or snowboarder looking for the perfect combination of South American resort skiing and endless backcountry skiing options, our Backcountry Focus skiing safaris are for you. On typical skiing days, our hiking and ski touring can range from 20 minutes, to two hours plus, at altitude. Basing at the local ski resorts throughout Chile and Argentina allows us to be more flexible on days we cannot get into the backcountry due to weather or instability in the snowpack. Inbounds skiing in Chile or Argentina offers thousands of acres of excellent advanced and expert powder skiing. Our guest tio guide ratio of 8 to 2 allows us to easily accommodate groups with diverse skill levels. For those who are not interested in a full blown backcountry skiing experience many of our Backcountry Focus Tours have "Off -Piste Focus Options". Because of our 8 to 2 guest to guide ratio we often divide our skiers in to a backcountry and off-piste group. Our off piste adventures allow you to ride with your favorite all mountain skis or snowboard set up without having to commit to Alpine Ski Touring equipment. Based at various ski resorts throughout Chile and Argentina, these trips get you to the best ungroomed trails and beyond the ski lifts, venturing out of bounds with our certified backcountry ski guides always thinking of your safety. Our goal is to get you not only to first tracks, but fresh tracks away from the crowds. An 11 Day Off Piste Focus ski adventure deep in Argentina's Patagonia, chasing the trail of Butch Cassidy and the Sundance Kid, skiing deep powder, eating like Gauchos, and exploring endless advanced and expert inbounds and off piste terrain in Patagonia. We start in Northern Patagonia skiing Bariloche with a huge amount of inbounds and backcountry lines, and not to mention some of the best nightlife and restaurants in South America. Then head South deep in true Patagonia. Four nights in the strange town of Esquel riding quite possibly the coldest powder in the Argentine Andes! Just when you thought it could not get any better, we finish our tour in the fun terrain of Cerro Bayo and beautiful ski town of Villa La Angostura. This is a true powder adventure in Patagonia. Perfect for advanced and expert skiers and riders hungry for backcountry adventure with a great mix of powder, southern Andean culture and food, hotsprings and active volcanoes. We will be based at the ski resorts of Pucon, Chapelco, and Catedral Alta Patagonia, surrounded by national parks with excellent off piste and backcountry ski touring in both Chile and Argentina. You'll also have a chance to ski tour Chile's most active volcano, then ski down it's 5,000 vertical foot descent back to Villarrica-Pucon's base. Afterwards an unforgettable road trip across the Chile Argentina border set in a pre-historic landscape followed by the best skiing in Patagonia based in San Martin de los Andes and Bariloche. La Cimarra Sur is an unforgettable powder and cultural road journey through South America’s Patagonia, an adventure sure to satisfy your most fervent wanderlust. Grab your Alpine Touring (Randonee) gear or splitboard and come visit us this summer for some of the best backcountry ski touring on Earth. Our home base ranges from well known resorts with incredible backcountry alpine touring access, to remote mountain lodges tucked deep in the snow-drenched Andes. We will spend our days touring the unique Andean terrain, saying “hasta manana” to civilization, and venturing off to distant and hidden valleys ascending touring routes set by your certified ski guides. Searching for fresh lines with daily objectives determined by you and your guides, be prepared to discover endless descents up to 5,000 feet plus! With 6-8 guests maximum and two guides, there are no problems, when there are diverse skill levels in the group. Strong Advanced and Experts only, with previous touring experience required. Come winter in the Southern Hemisphere, powder covers the lofty peaks of Patagonia's gorgeous Lake District. With the stunning scenic landscapes,undiscovered terrain and charming backcountry lodges, this is South America's ski touring heaven! This 8-day Ski Mountaineering expedition includes nights at rustic and cozy mountain huts. Dine on fondue, pizza or roschti and wash it all down with a stunning Argentine vino tinto.